Mykel Beckley – excellent performance with a goal and an assist. Khalsa move into third spot in the league thanks to a much improved performance which saw goals from Mykel Beckley, Dave Meese and Mensah Kinch and four red cards for the home side whose discipline unravelled very quickly in the closing stages. 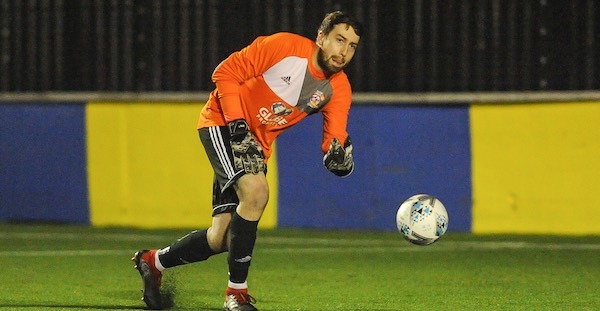 With Kieron Whittaker – making his full debut for the club – dominating proceedings in midfield, Beckley in excellent form and keeper Sam Arnold collecting his 17th clean sheet of the season, Khalsa’s win was much needed going into the final six league games of the season. 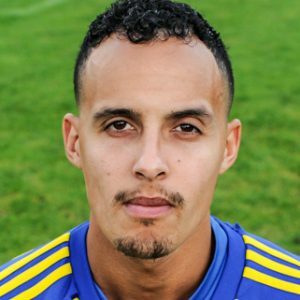 Beckley fired Khalsa ahead after 15 minutes, latching onto a rebound from his own shot to force home his first league goal of the season. Meese doubled the lead with a header from Beckley’s cross on 56 minutes. And shortly after Gate were reduced to ten men on 74 minutes, Kinch rifled home from Sean Williams‘ clever free kick.